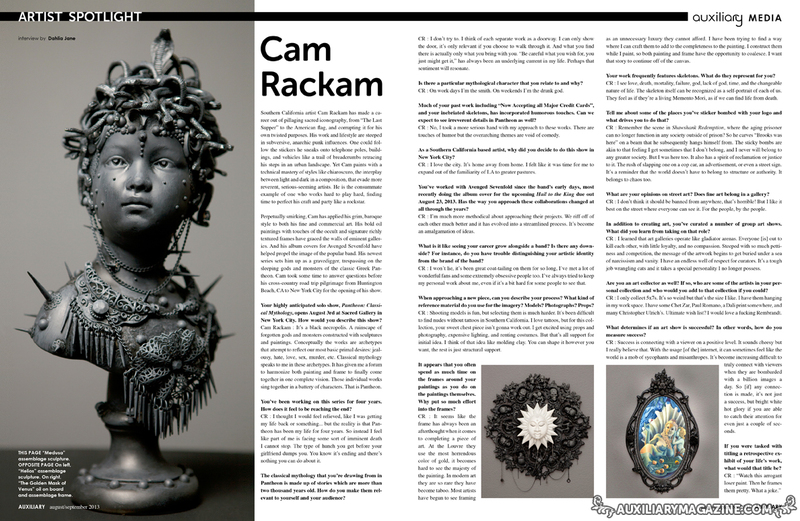 Cam Rackam interviewed for our August/September 2013 Issue Artist Spotlight. 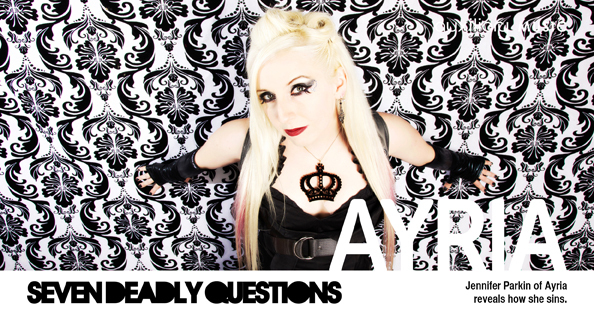 Jennifer Parkin of Ayria reveals how she sins. 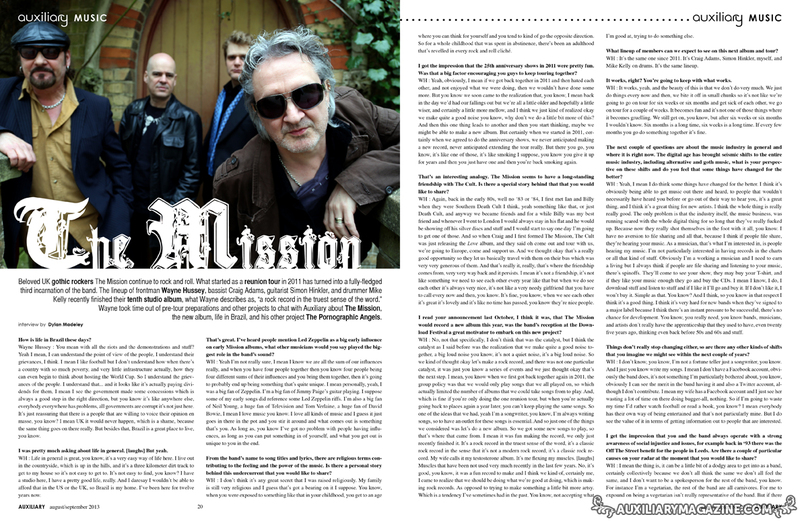 Beloved UK gothic rockers The Mission interviewed in our August/September 2013 Issue continue to rock and roll. 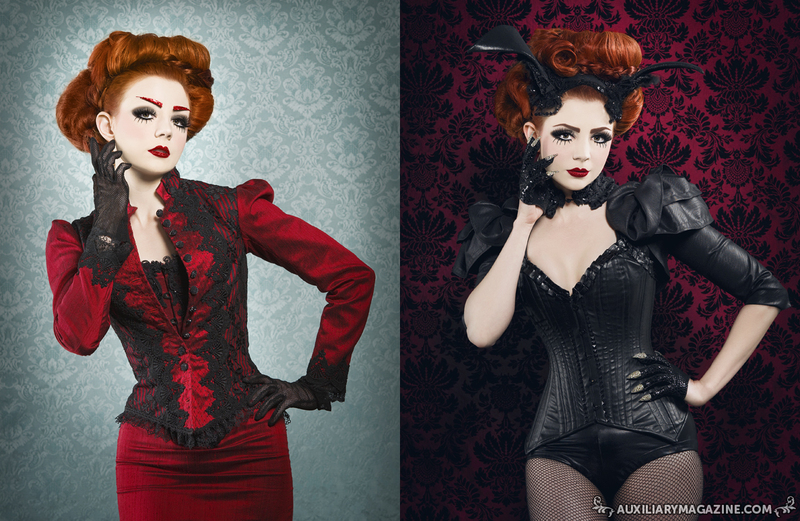 Meet Deanna Deadly, our PinUp in the August/September 2013 Issue. 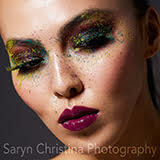 Auxiliary Online Content, unseen images, from our Breaking Boundaries fashion editorial. 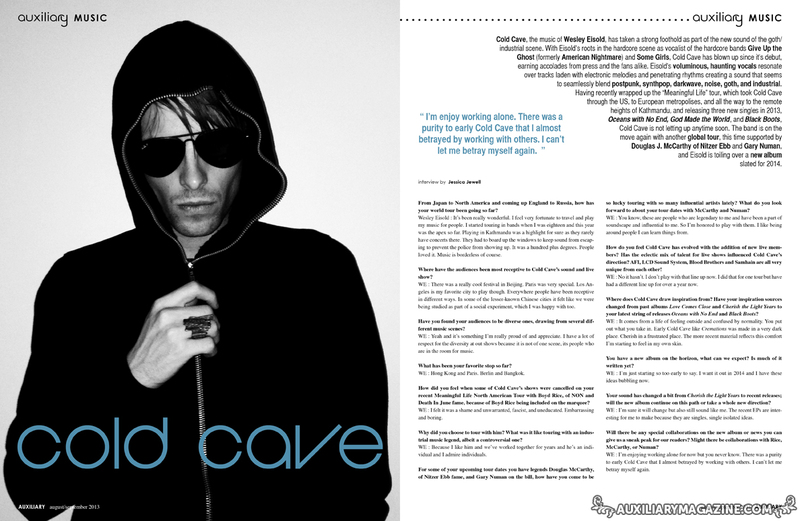 Cold Cave, the music of Wesley Eisold, interviewed in our August/September 2013 Issue has taken a strong foothold as part of the new sound of the goth/industrial scene. 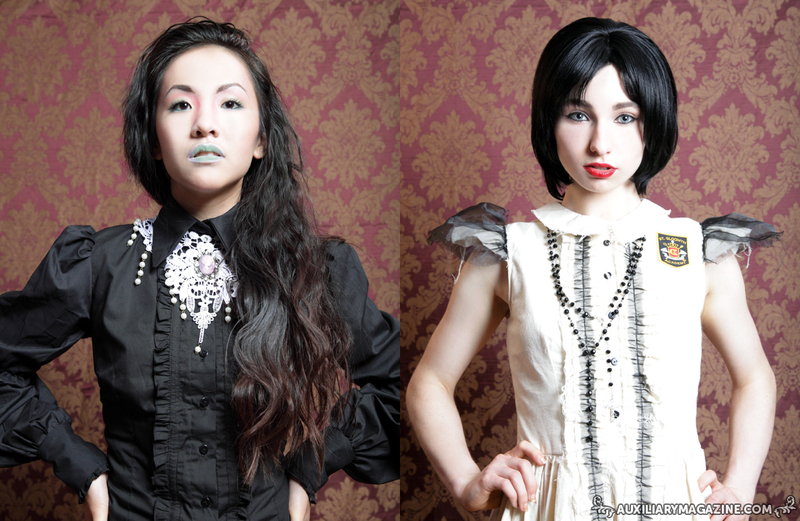 Auxiliary Online Content, unseen images, from our Opulence fashion editorial. 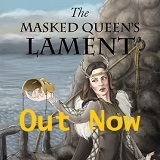 Auxiliary Online Content, unseen images, from our Setting Sail Style feature. 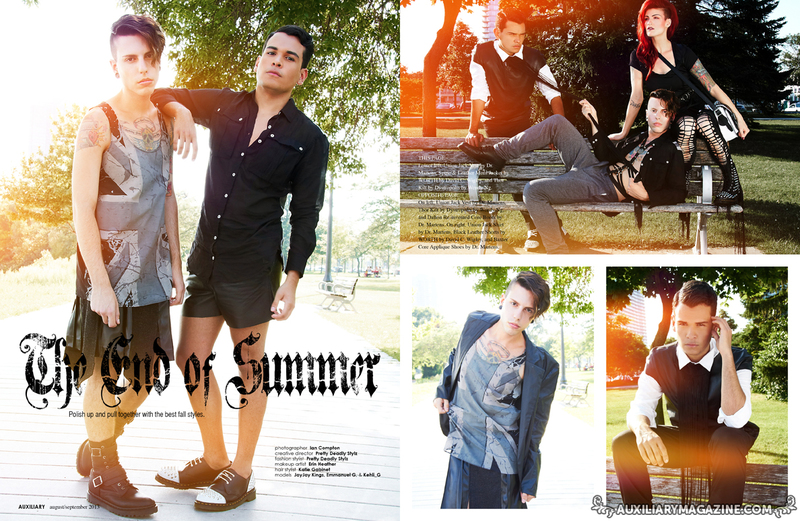 Auxiliary Online Content, unseen shots, from our Shine in the Dark fashion editorial. August/September 2013 Issue out now! The August/September 2013 issue is out now featuring The Mission, Cold Cave, Ayria, Cam Rackam, Deanna Deadly, and Mather Louth.